Your roof is among the most important elements of your home. That is why it is crucial to choose a dependable roofing contractor you can depend on to protect what is most important to you – your family and your home. There are some “fly-by-night” roofers who cut corners to win contracts. There are others who do not have licenses and the necessary coverage as these add to the costs of their operations. There are contractors who leave important factors off the roof contract to keep the cost estimate they provide you low. If you are from Uxbridge, the task of choosing the most reliable roofer is not that difficult. Countless homeowners from Uxbridge depend only on Dillon Bros. Roofing. Whether it’s a residential or a commercial roofing project, we can do it best for you! As a family-owned and operated company that has provided reliable roofing services since 1998, Dillon Bros. Roofing’s name has been synonymous with premium roofing products and flawless services. Our seasoned roofers serve the Durham regions as well as Toronto and York. We have installed thousands of roofs in residential and commercial properties since we began our business in 1998. Dillon Bros. Roofing experts in Uxbridge provide customers with varied services like installing roofing and skylights as well as gutter clean systems, and aluminum and vinyl siding. We also handle snow removal and eaves trough cleaning. Our goal is to provide homeowners with top-notch services at fair pricing. We also take pride in the quality of our customer service. We understand that our customers depend on us to address their concerns and answer their queries about roofing. That’s why we always have experts ready to answer all your questions and help you decide on the best kind of roofing for your home. Perhaps the reason shingle roofing is popular among Uxbridge homeowners is that it is the perfect combination of everything you can want from your roof – durability, classic elegance, and relatively low cost. It can withstand extreme temperatures as well. 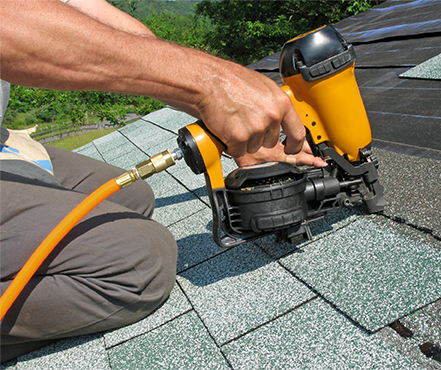 We offer replacement and new installation services for shingles on both residential and commercial properties. Our expert roofers are certified to install BP, GAF, and IKO shingles with warranties that range from 25 years to a lifetime. Metal roofs are preferred by homeowners who are looking for roofing options that are eco-friendly, low-maintenance, and lightweight. Dillon Bros. Roofing installs “shingle-style” 3-foot interlocking Katola systems. 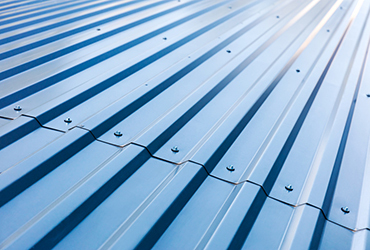 We also provide full-length panel roofs in various profiles like standing seam panels from STEEL TILE ROOFING. We can install BUCHNER ALUMINUM SHINGLES, too. They come in an array of colours so you can choose one that suits the aesthetics of your home. If you are looking for a cost-effective roofing option that also offers ease of maintenance, flat roofing should definitely be considered. Homeowners love them because they can be cleaned safely without the fear of falling off! 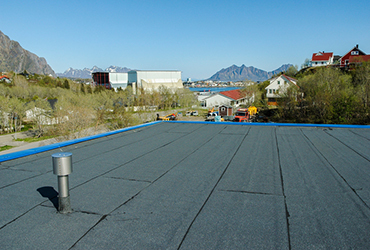 Dillon Bros. Roofing has various flat roofing membranes available – classic 2-ply modified bitumen, as well as single ply TPO and EDPM systems. Our team is licensed to install CARLISLE, IKO, FIRESTONE, and SOPREMA roofs. Natural Cedar shakes and shingles are also available if you are considering this option. We can install hand-split and taper-sawn shakes. If you want to add natural lighting and warmth to your home’s interiors, you should check out the beautiful skylights and sun tunnels from Artistic Skylight Domes and Velux that we can also install for you. With Dillon Bros. Roofing, you do not have to worry that your home and garden will be left in a chaotic state once the roofing job is done. We make sure that we don’t leave any messes. Our Uxbridge roofers have undergone the best roofing and safety training in the country. You can rest assured that the workmanship we offer is incomparable and our work attitude is always professional. Are you ready for a flawless roofing service? Contact Dillon Bros. Roofing today at 1-807-606-1718!